If you’ve never tried Facebook ads before (or if you’ve tried and failed), you may be wondering how to run an effective campaign. I understand it can be very frustrating that you spend a lot of money on Facebook ads trying to reach your customers and make sales and it doesn’t work the way you want it to. YES, You get a lot of impressions and maybe traffic but the major goal which is leads and sales is not met. We’ve worked with Facebook Ads for years and have run plenty of campaigns that performed terribly. We’ve also learned those secrets that will bring you more traffic and sales through Facebook Ads. Without the right strategy, your money could be going down the drain. I’m sure you really hate that!! 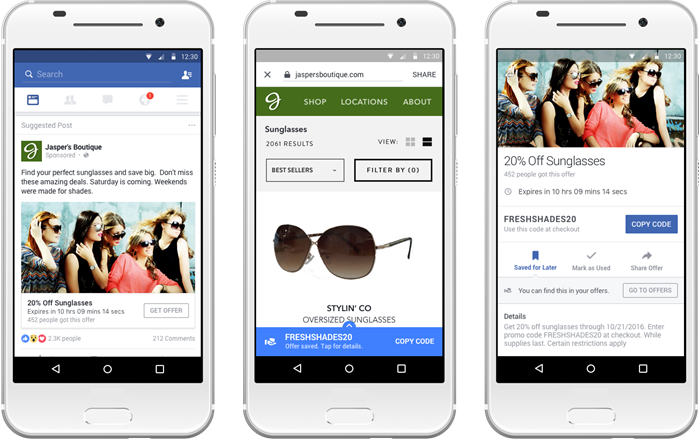 In this article, we’ll show you 5 ways to optimize your Facebook ads to drive more traffic and sales. With Facebook advertising, it’s not so much about reaching the most people as it is reaching the right people. Sure, big numbers look awesome on your reports, but you need to reach people who are open to discovering your content, curious about your business and receptive to your message. And that’s probably fewer people than you think. What types of content did they engage with most often? More often than not, you can find the answers to these questions through data and research. Audience Insights gives you the opportunity to learn more about a specific audience. Based on the insights Facebook provides, use what you know about your audience demographics to create meaningful, directed ads. Every person that clicks through to your ad wants to see a relevant offer that adds value. And you only have a few seconds to prove to them that you’re the right deal. How do you do that? With the help of a proper, well-constructed landing page that helps you reach your goal. Along with the other Facebook advertising tips, this one about focusing on the landing page should not be ignored if you’re serious about getting results. The thing is, clicks to your Facebook ads can become expensive if you’re not converting them consistently. Which is why you need to catch your visitors’ attention with a targeted landing page and convert them into a lead or customer. When you get the landing page right, your chances of achieving a better ROI increases. Whether it is getting people to register for your webinar or have them download a free eBook or simply buy your new software tool, it all depends on where they land and how you treat them. The more efficient the copy and the design of your landing page is, the better conversions you will see with your ad. When it comes to the copy of your landing page, you may have a hard time choosing between a long or short version. But this shouldn’t be that difficult if you are clear about what you want to achieve with your Facebook ad campaign. In other words, your conversion goals almost always determine the length of your landing page copy. Using proper visual elements on your landing page goes a long way when it comes to getting real-world results. Mainly because your brain is used to processing images quicker, which is something you should use for your advantage. Also, good, relevant visual elements add to the overall flow of the landing page and make the content easy to scan and consume. Which translates to lower bounce rates and better conversion rates. Your landing page should simplify things for your Facebook ad visitors, not complicate them. Which means you should avoid using any distracting elements that clutter your pages, such as unnecessary navigation links or social icons that drive people away from the page. If something isn’t contributing to the overall goal of your landing page, it should be avoided at all costs. Fewer distractions for the visitor means better results from your landing page. Facebook ads are different than the ads you find on the Internet, or other social media sites. When you’re running a Facebook ad, you not only need to use the right copy but also an image that helps your ad stand out from the rest. Using a wrong image can turn off your potential audience or worse, it may not even get noticed. In order to make your Facebook ad campaign successful, it’s crucial that you have all elements in place, especially the image associated with your ad. All the testing and tweaking you do to your ad copy won’t make a difference if your ad is invisible simply due to a bad image. If you’ve followed all of the steps above then you can now smile cus’ you now have a Facebook ad that is optimized for conversions and has been set up properly to achieve your goals. Your next step is to wait for your campaign to start getting conversions. Don’t stand by your ad every minute waiting to get results instantly because you’d just get very frustrated and discouraged if you do so, rather, you need to know that it takes a while for your campaign is really ramping up and so, therefore, you should standby and let the algorithm do its work. Then, and only then, take a look at your results. If you are getting conversions but your cost per conversion is still high, make a hypothesis about what went wrong. Are you targeting the wrong audience for your ad? Is your ad copy persuasive? Did you use an appropriate image? Do you have a high-converting landing page? Selling on Facebook isn’t reserved for the elite few or brands that have deep pockets. Your business can actually sell on Facebook with the help of organic content, paid ads, and a few of our Facebook advertising tips. Selling on Facebook is a lot more effective when you create a sales funnel that helps you achieve your purpose. The purpose of a Facebook sales funnel is to warm up your target audience or nurture them before pitching them a product or service. This tactic works because using relevant messages for different users (at different stages) can make it easy for you to convince them to convert. Facebook ads work extremely well for this purpose as you can target prospective buyers at all stages of the sales funnel. Even though Facebook is used for engaging users, it can also be used to generate a large number of sales with the help of a strong funnel. 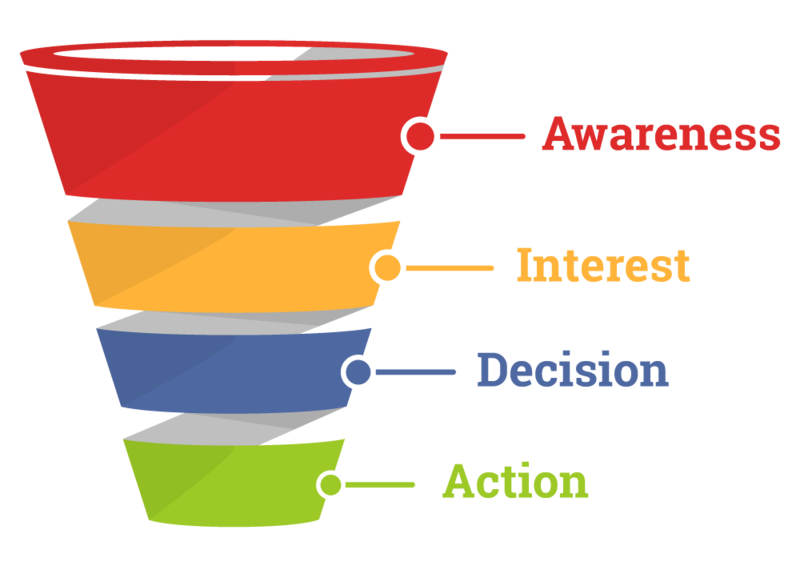 Sales funnels tend to fill a gap and educate users to take action by creating demand overtime. It gives users a fair idea of their own pain points and how your product/service can address them. In short, a Facebook sales funnel will help you take a different path. It’s one of those Facebook advertising tips that will stand the test of time. The best part about building a sales funnel is the fact that you can create different types of ads targeted towards all types of users. Here are two basic steps that you need to take to start creating a sales funnel on Facebook. Create awareness about your brand with the help of organic posting, relevant Facebook ads, and referral contests. This is the first and the most subtle step to getting the user into your sales funnel. Once your target users are made aware of your product/service, they reach the consideration stage, where you need to tell them why they need to invest in your brand. This is the stage where you give enough proof to help users move to the next stage. Make sure to address pain points and the same time take care of any objections they may have. For example, answering comments on your Facebook ads is a great way to do this. Facebook ads are a smart way to get highly qualified leads for your business at a low price. Just keep in mind that the strategy you use will determine your success or your failure.